Great Sand Dunes National Park. Photo courtesy of Matt Noble. The tallest dunes in North America! The San Luis Valley is home to the Great Sand Dunes - the tallest dunes in North America rising more than 750 feet from the Valley floor. The Sand Dunes are accessible all day and all night year round. 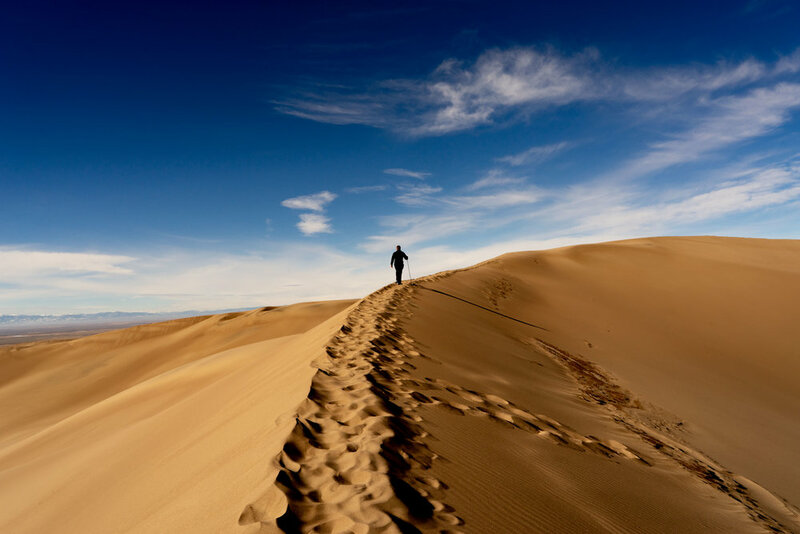 Things to do at the Sand Dunes include hiking, sand boarding and sand sledding, horseback riding, swimming in Medano Creek, overnight camping, and more.